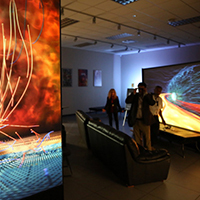 The National Center for Supercomputing Applications will host an open house with interactive demonstrations as part of the Speculative Futures events at the University of Illinois. The demonstrations will include multimedia art installations that incorporate a person’s movement to control visual or audio elements. CHAMPAIGN, Ill. — Technological innovation inspires writers and artists to imagine how the future will look – such as a computer taking control of a manned space mission or software creating a utopian virtual world. Their creative representations, in turn, help scientists and engineers understand how rapid advances in technology might change society. A series of events at the University of Illinois called Speculative Futures will bring artists together with technology innovators with the goal of sparking new creative projects at the intersection of computer science and science fiction. The Coordinated Science Lab and the Illinois Program for Research in the Humanities are organizing Speculative Futures on Nov. 3-4. It is part of the U. of I.’s sesquicentennial year celebration, and the events are open to the public. 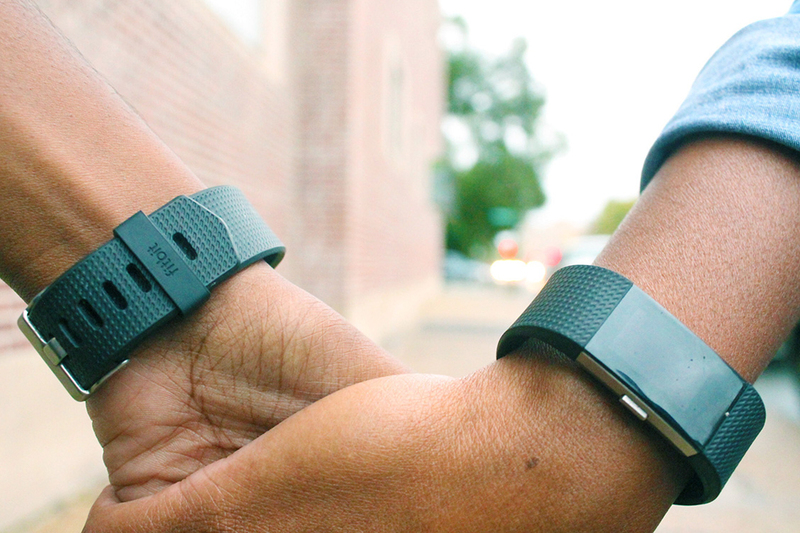 A project that uses wearable sensors to collect data showing how gun crimes affect the health and well-being of African-American mothers in inner cities will be part of the technology featured at Speculative Futures, which will foster interaction between technological innovation and the arts and humanities. After touring science, engineering and technology labs on campus, four artists will kick off the two-day festival of events with a showcase of their work and a discussion of how their creative imaginations are influenced by technology. 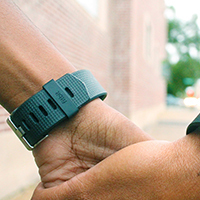 Their Creative Tech Talk takes place at 1:30 p.m. Friday, Nov. 3, at IPRH, Levis Faculty Center, 919 W. Illinois St., Urbana. DJ Lynnée Denise, a cultural producer of interactive workshops and music events and a lecturer at California State University, Los Angeles. Stacey Robinson, a graphic artist and U. of I. art professor, whose work is influenced by black protest movements and portrays themes of Afrofuturism. Alex Shakar, a fiction writer and U. of I. professor of creative writing, and the author of “Luminarium,” a novel about a neurological study that induces spiritual experiences and winner of the 2011 Los Angeles Times Book Prize in fiction. The featured artists also will talk about their work and answer questions for students in a session designed for grades 6-12 at a workshop at 10 a.m. Saturday, Nov. 4, at the Champaign Public Library, 200 W. Green St., Champaign. 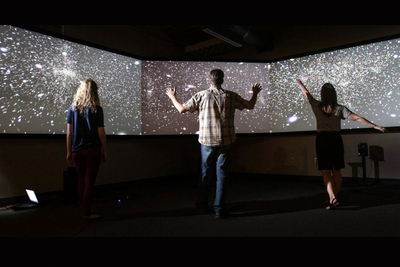 The public will be able to see examples of interdisciplinary research at the National Center for Supercomputing Applications, 1205 W. Clark St., Urbana, which has a history of bringing the humanities and the arts together with scientific and technological endeavors, said Donna Cox, the director of research and education at NCSA and the director of its Advanced Visualization Laboratory. NCSA will host an open house with interactive demonstrations from 5:30 to 7 p.m. Friday, Nov. 3. “Artists and humanists are coming together to harness technology to address society’s biggest challenges,” said Cox, a pioneer in combining technology and the arts through her work in scientific visualization. 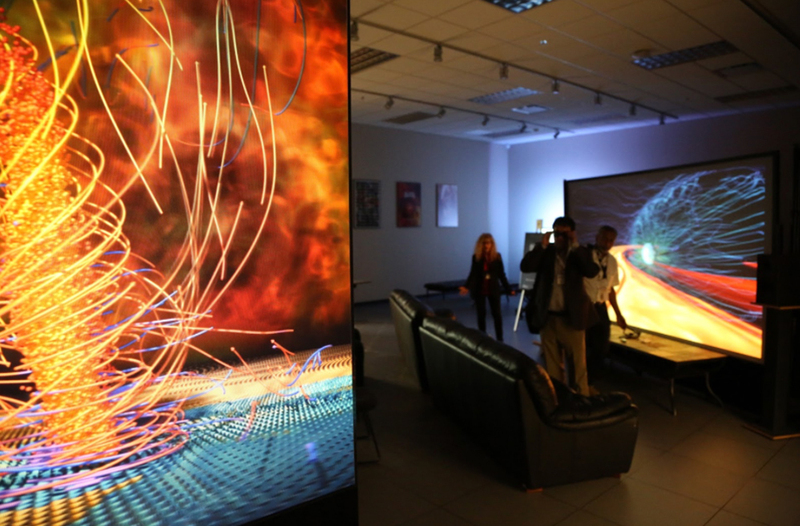 Visitors to the Speculative Futures events will see examples of scientific visualizations created by the Advanced Visualization Laboratory at the National Center for Supercomputing Applications. The NCSA interactive demonstrations include: a virtual reality archaeological tour that explores a recreated excavation area in Cyprus that is a UNESCO World Heritage Site and the 3-D scanned cultural artifacts found there; examples of scientific visualizations created by the Advanced Visualization Laboratory, such as clips from the IMAX movies “A Beautiful Planet” and “Hubble 3D”; multimedia art installations that incorporate a person’s movement to control visual or audio elements; and a project using wearable sensors to collect data showing how gun crimes affect the health and well-being of African-American mothers in inner cities. Paquin was particularly interested in having students from the humanities, science and engineering interact with each other as part of the Speculative Futures events. Undergraduate students in a science fiction writing class were paired with engineering students this semester, and the students in the writing class will give Pecha Kucha-style presentations about how they imagine the future at 2 p.m. Saturday, Nov. 4, at the Electrical and Computer Engineering auditorium, 306 N. Wright St., Urbana. The artist will wrap up the events with a panel discussion at 3:30 p.m. Saturday, Nov. 4, also at the ECE auditorium. They’ll talk about how the arts and humanities, science and engineering, and science fiction interact, and what sources of inspiration they found on campus. The discussion will be moderated by Lynne M. Thomas, the head of the Rare Book and Manuscript Library and a five-time Hugo Award winner. Editor’s note: To reach Antoinette Burton, email aburton@illinois.edu. To reach Normand Paquin, email paquin@illinois.edu.